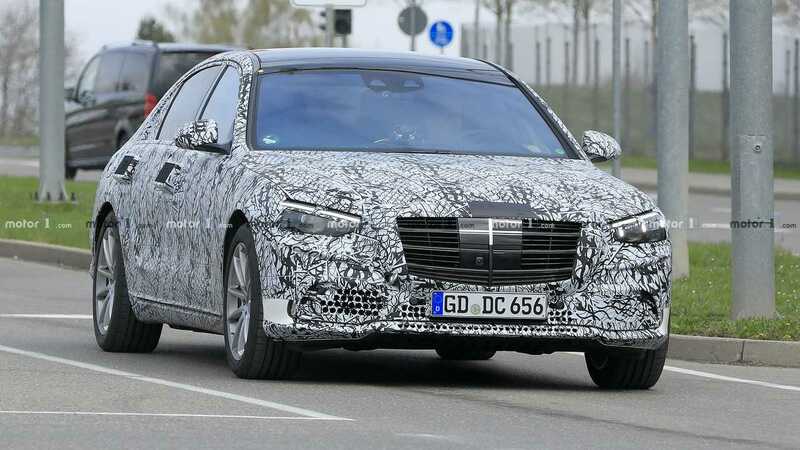 After checking out its nifty pop-up door handles on Monday, the next-generation Mercedes S-Class is making the headlines once again courtesy of a fresh batch of spy shots. The extra piece of camouflage on the door handles is back, but check out the front of the car where some of the disguise has come off compared to the previous prototype. 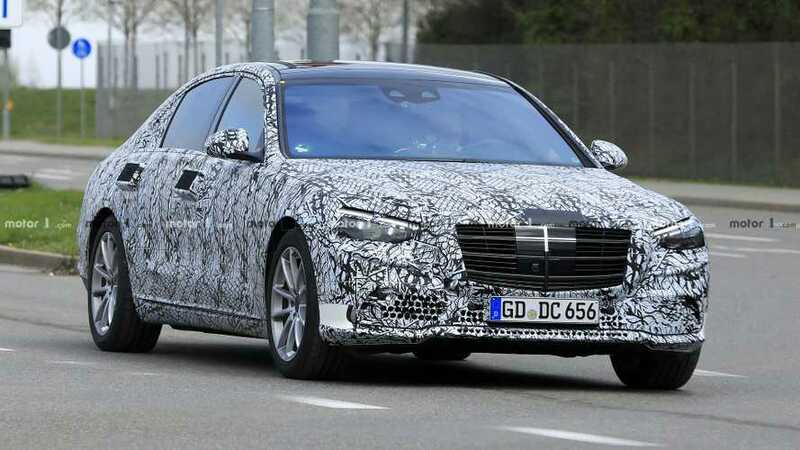 The pattern of the front grille has a more intricate design compared to the current S-Class, and the radar system continues to be quite large. Upon closer inspection, there seems to be a camera built into the radar area, on the passenger side of the wide grille, while the tow hook sticks out like a sore thumb. 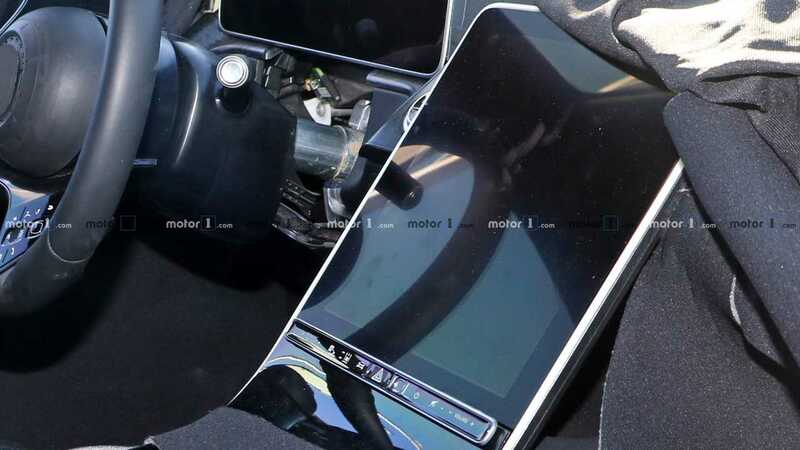 The slightly exposed corners of the front bumper reveal the prototype is actually painted in white, and by the looks of it, the test vehicle likely has the production body. It even has the chrome accents near the air intakes. There’s something interesting going on with the headlights because these don’t have the same LED light pattern. The driver’s side headlight has three vertical bars part of the daytime running lights that are missing on the other side. It’s not all that surprising taking into account this is, after all, a prototype, so it’s not quite ready yet for production. The back of the sedan doesn’t reveal anything that we haven’t seen already, but it’s worth pointing out the reshaped taillights now extend onto the trunk lid. You can see tiny cutouts in the camouflage, which have likely been made to expose the mandatory reverse lights. The rear bumper also has some camo-free areas further revealing the vehicle’s actual white paint, making those the black parking sensors look a bit ungainly. 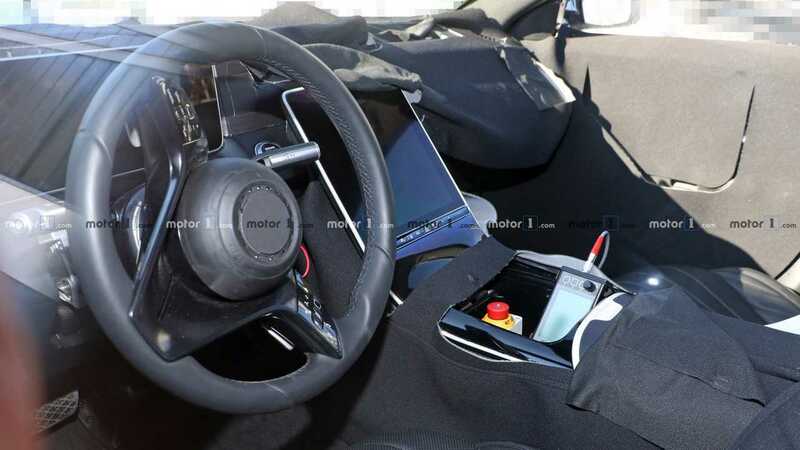 You’ve probably seen them by now, but these interior shots reveal Mercedes has some big plans for the dashboard. 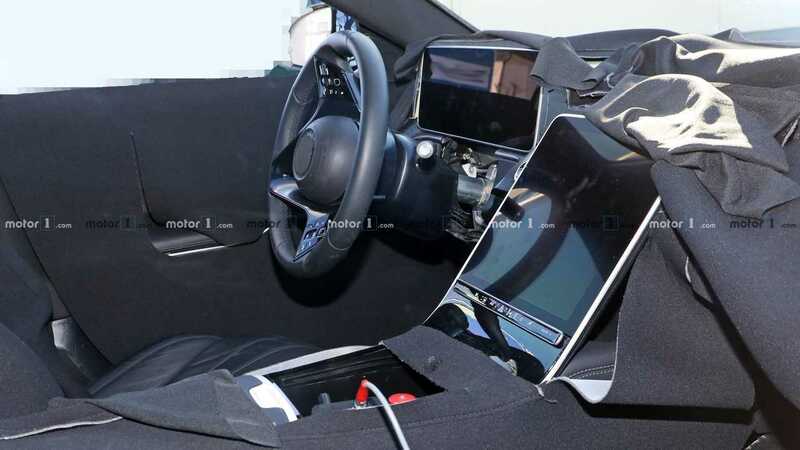 The images depicting the cabin are from mid-February and show a different prototype with an unfinished cabin featuring a portrait-oriented massive touchscreen, a fully digital instrument cluster, and numerous glossy black areas that’ll likely be a fingerprint magnet. Expect the new S-Class to debut at some point in 2020 and go on sale in the United States probably as a 2021MY.